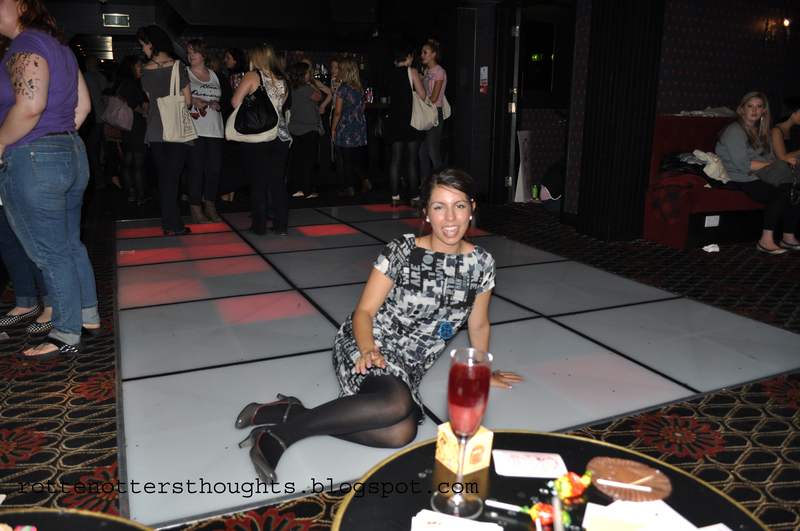 To celebrate Eyeko’s 10th Birthday bloggers and ambassadors were invited down to London’s Wenlock and Essex bar. 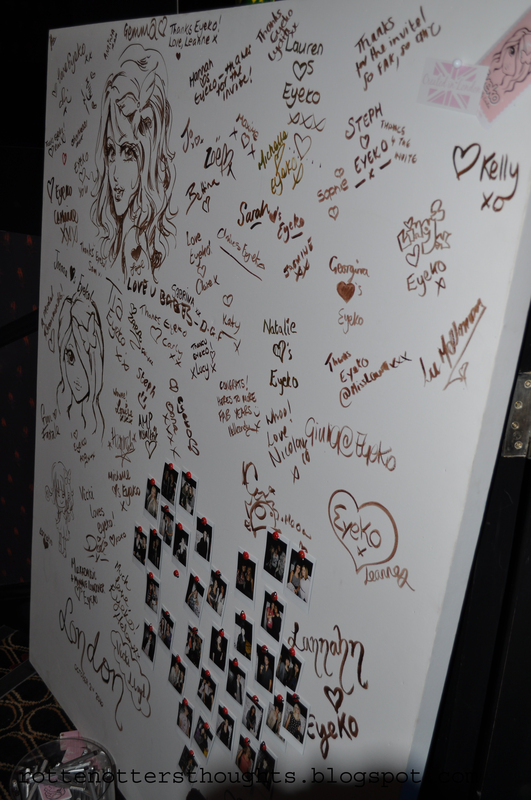 Before entering we signed a huge canvas bored with fab drawings, can you spot your signature? 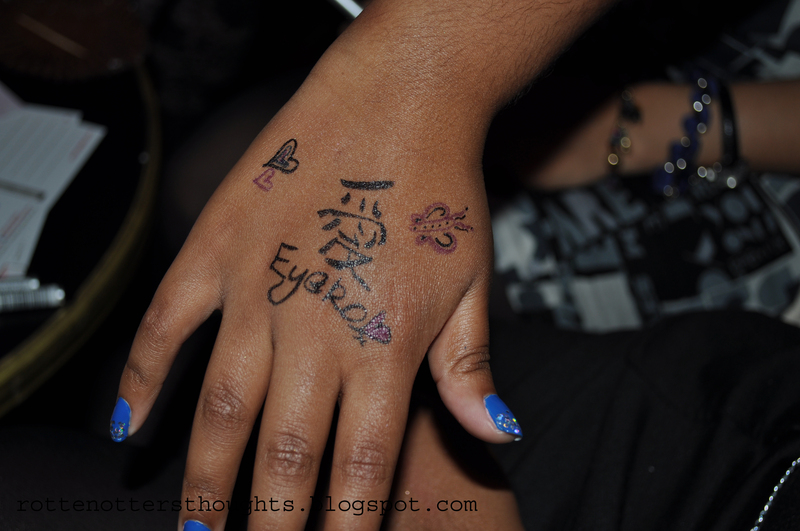 :) I love these kind of things, me and my friends always have them at parties, really great keep sakes! 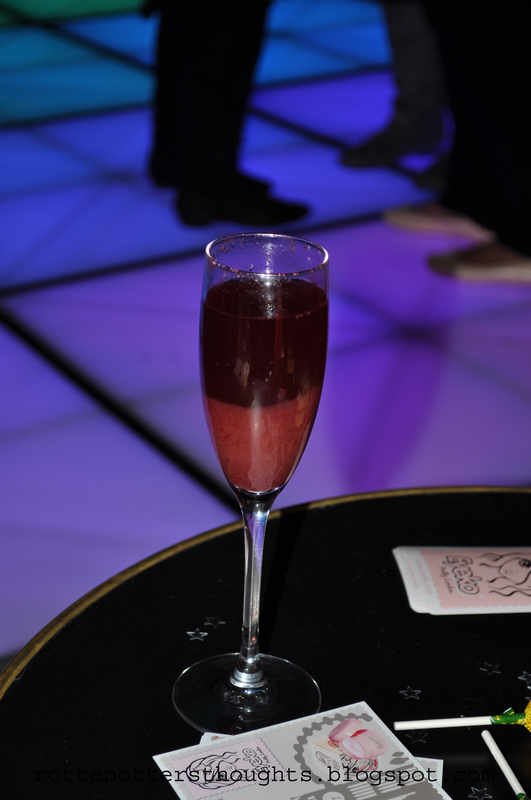 We were then handed some lovely cocktails while we had a natter and for everyone to arrive. 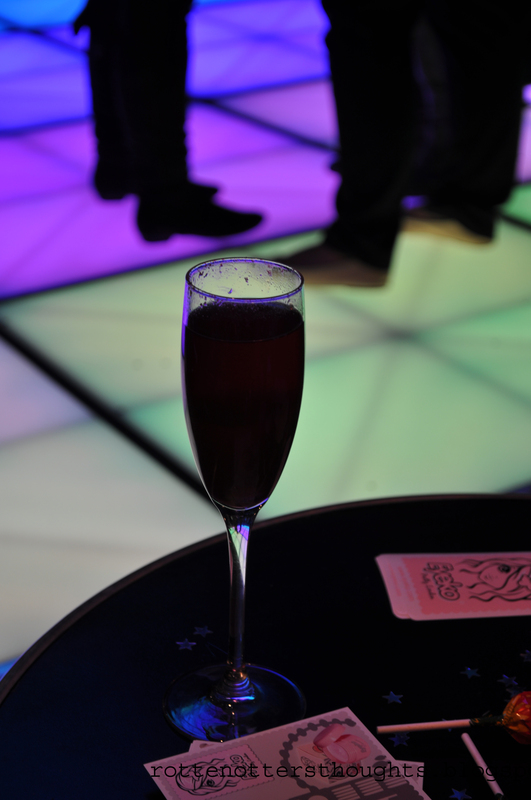 Light up dance floor +mirrored ceiling +neon lights =perfect party room. 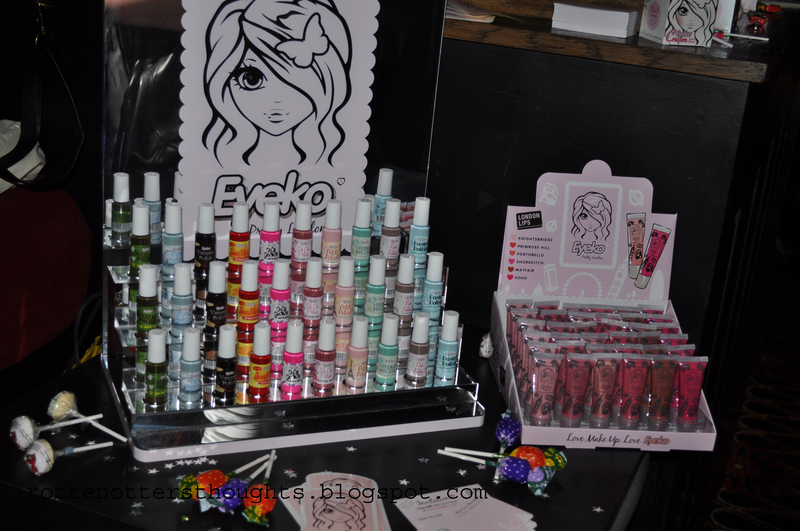 So many Eyeko products were scattered around the room, it was like a kid in a candy store! I was really pleased to see the new lip gloss tubes as I hadn’t seen any swatches yet but wanted to see them in person before buying. We also got the change to speak to Nina, the co-founder of Eyeko, and have a look at some brand new products, including blushers, fat balms and lip pencils. So excited for the fat balms, I have 3 of the old ones and can’t wait for the new colours and scents. Toffee and cupcake! The lip pencils look great too, they’re a mix of a lipstick and gloss in pencil form, and the best part, no need for a sharpener! They twist up, perfect :) I didn’t take any photos but Kim has some great photos in her Eyeko post so check them out. There were lovely ladies offering hair, make-up and manicures but I didn’t get time to have my nails painted despite leaving them bare for this specific reason. Even though we were there for a good few hours time seemed to fly by and all of a sudden it was time to hop back on the tube. I also never got to speak to a lot of people for this reason as well. During the night we used the graffiti liners to draw on each other and the best design won a signed Spice Girls CD. Alex came up with a great idea which you see the beginnings of in the photos below. We were given a lovely goodie bag which I shared with my cousins, I’m sure the products I kept will pop up on my blog when I have a good chance to test them out. I had such a great time at the event, thanks for inviting me Eyeko! It was also lovely to get down to London, I haven't been for a year or so and be able to catch up with my family down there. What Eyeko products do you love? Great pictures,I really can't wait for the fat balms! Hello blonde me! Didn't even know this photo existed!